I woke up yesterday to read a fictitious report credited to me by Sunday Tribune that I claimed President Muhammadu Buhari does not deserve to be president. And on the basis of the fiction weaved together by a reporter, he let loose one of those now-very-common indecorous and rumor- inspired verbal assault from presidential spokesman, Mallam Garba Shehu. However, today, in one of those uncommon but very professional decisions, Tribune newspaper not only recanted on the story but also apologized to me. While I thank the newspaper for toeing the path of honour, I hope Mallam Garba Shehu will also be decent enough to admit his error of judgement and tender an unreserved apology for his falsehood and unwarranted attacks at me. Notwithstanding, it is important not to lose sight of the real issue which is about the fate of 2000 young Nigerians who were employed into the Nigerian Immigration Service, after a rigorous and transparent process by the last administration, only for their services to be cynically dispensed with by the current administration. These are Nigerians from across the country. Incidentally, I was drawn to their plight just because in driving past where they had congregated, I saw among them a friend and BBOG colleague, Hajia Aisha Yesufu, who, as it would turn out, had taken up their cause. I spoke with them briefly and I had pleaded with the president to look into their matter. Fortunately, in correcting the earlier wrong publication, Tribune has helped to bring out what I said in its story of today as captured below: FORMER Minister of Education, Dr Oby Ezekwesili, never said President Muhammadu Buhari did not deserve to be president. Our sister publication, Sunday Tribune, had attributed the statement to be part of what she said over the plight of 2,000 immigration service recruits who slept at the entrance of Aso Villa from Friday till Saturday morning. 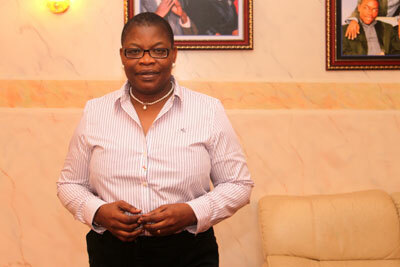 Ezekwesili, while addressing the recruits, had said “I am, therefore, appealing to the president to immediately ask the military as well as the Nigerian Immigration Service to do what is right, give justice to all these young men and women who, on the basis of merit, were appointed into positions in the NIS. “I want to say that if justice is not given to them immediately, I certainly will join them in sitting here every day until they get their justice. Justice is to be able to come to table with them. “Whatever the challenges are, let it be known, but don’t let anything be done in secrecy, and let nothing be done with such opaqueness. These young people are the present of Nigeria, not just the future of Nigeria. If we don’t treat our young right, we are laying ourselves up for what we already have troubling us in the country. “So, I join my voice with them and I appeal to the President whom they have come to see to immediately do something about their cause. And I also use this opportunity to speak to the Federal Government, there have been too many instances of allegations of illegal recruitment into the public service. “If our public service is dysfunctional and you are worsening it by recruiting people through the back doors, people who don’t have the talent, skills, competence, capacity, character to be able to give us good service in public service, then, we certainly have no plans to be better than we are. “So, we should just from henceforth desist from doing this. And usually, when these illegal recruitments are done, we sacrifice the best for the worst among us. Usually, when these illegal recruitments are done, what ends up happening is that the children of the poorer segment of our society who struggle to get through their education are left behind, then, that is the basis of worsening inequality. “We cannot afford this and an unequal society is a society laying itself up for implosion and God forbid that would be the case with our nation. I want to just applaud all of you for coming out and standing, standing for your cause. I want to say that I would actually be speaking to a lawyer who will become your lawyer in this matter, so that, not just would you be on the streets, but you would have to get legal redress of your situation, because that’s very important. The Tribune Newspapers hereby tender unreserved apology to Dr Ezekwesili, Aisha Yesufu and the Presidency for the misrepresentation. Let me again state that the injustice that the #NigeriaImmigration2000 protesters allege needs immediate Presidential resolution considering that all other levels of authority have failed them. If Garba Shehu was not deploying his time and talent to the wrong priorities, he should have brought the issue of 2000 disaffected young people to the President's attention when they occupied the gate of his office last Friday. I advise him to do so now.